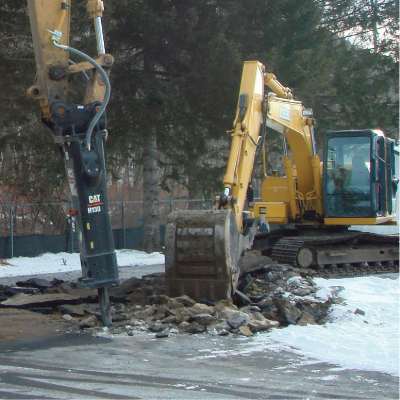 M&M Excavating is well-regarded for quality, dependable service from the moment you contact us until the project has reached completion. 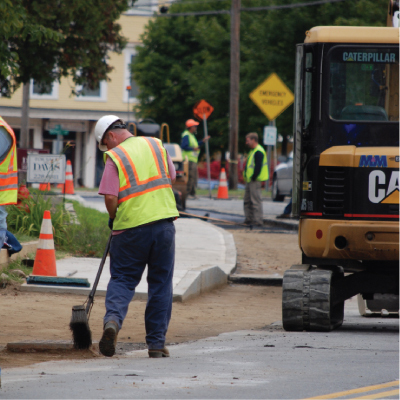 This hands-on, start-to-finish philosophy is the reason we have standing contracts with diverse municipalities, the State of Vermont, regional corporations and local businesses all over the area. 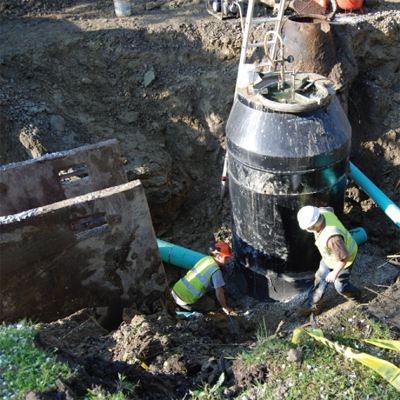 Some of our recent commercial projects include sidewalk projects in the Towns of Cavendish and Hartland, Vermont. 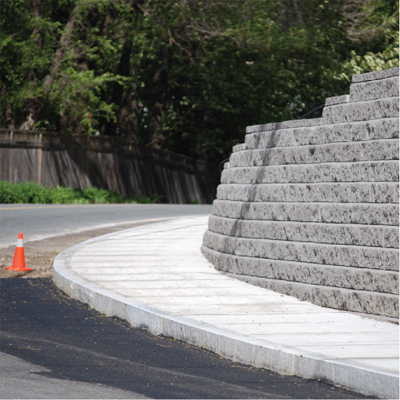 The projects included construction of new vertical granite curbing and poured concrete sidewalks as well as a retaining wall on the very busy intersection of VT Routes 5 and 12. The historic Fletcher Memorial Library hired M&M to repair significant subgrade water leak problems due to cracks in the foundation. We have upgraded Okemo Ridge Road from a gravel base to a paved surface and improved Black River High School's paved parking area.